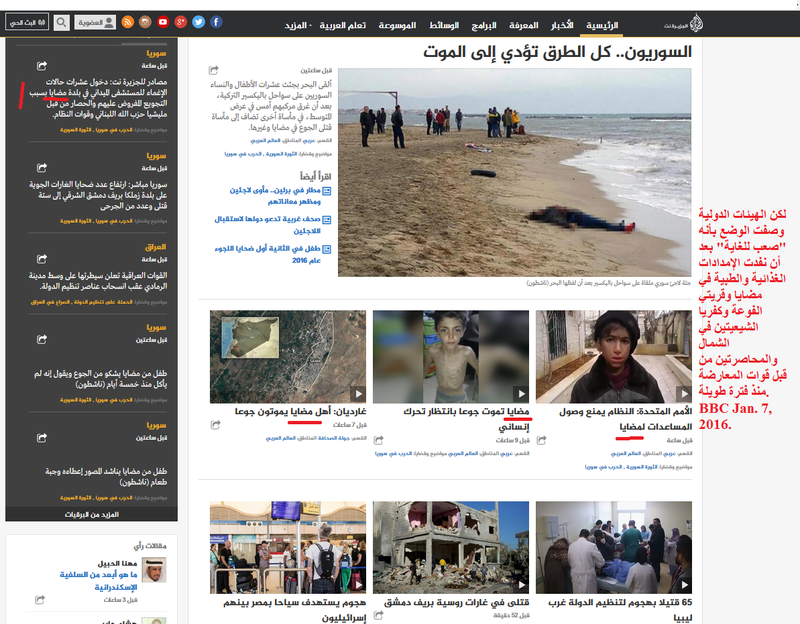 Journalism in Arab countries: With the increased violence and potential for sectarian war in the Middle East, one would think that the media and journalists would pay more attention to details, facts, and the language they use to report about the death and destruction in that part of the world. Instead, journalist and the media in general sided with their benefactors or religious/ethnic community, betraying the profession and their duty to objectively inform the public. Al-Sharq al-Awsat, which wanted to be the New York Times of the Arab world showed its true identity: the mouth piece of the rulers of Saudi Arabia. Aljazeera, whose funders wanted it to be the BBC of the Arab world, resigned to its limited true function: serving the Qatari ruling family and its political allies—the Muslim Brotherhood and Turkey. 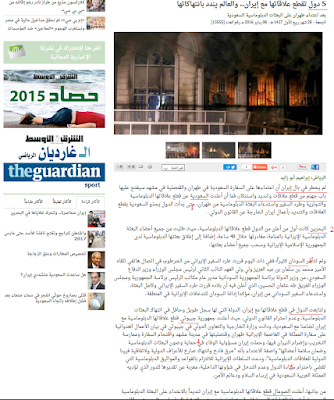 Alarabiya has become the Fox News of the GCC ruling families. 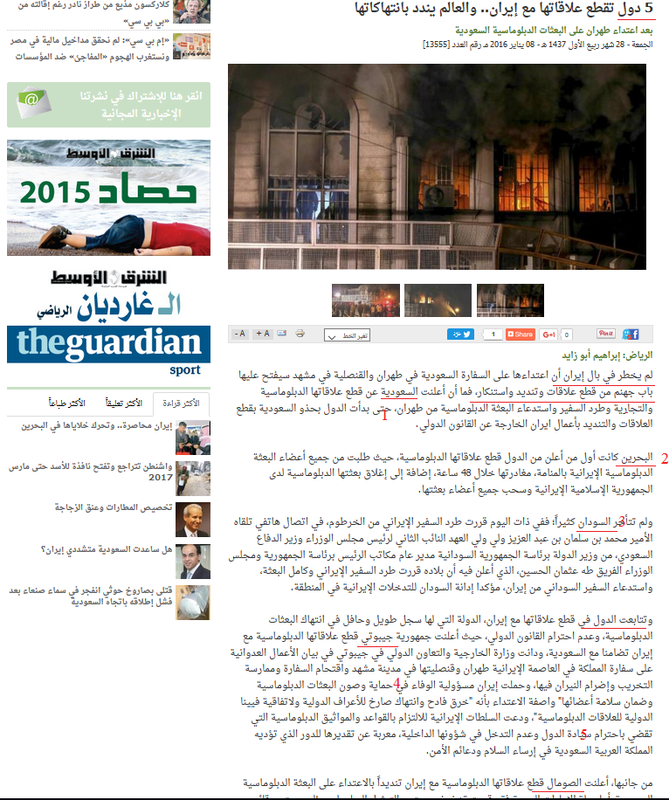 Alahram serves Sisi… and the list goes on. Arab journalists’ dereliction of duty during these difficult times will make a grave situation graver. In the past, and during peace time, people of that region were used to the media serving as the propaganda tools in the hands of authoritarian rulers. People did not take them seriously. However, with civil wars raging in a handful of Arab countries, the need for accurate information is compelling and Arab journalists ought to take their responsibilities seriously. Aljazeera devoted half of its space of its website frontpage to reports about the humanitarian crisis in the town of Madaya, Syria, because it is is "Sunni" town. Aljazeera avoided referring to the other towns under siege for years, as the BBC report shows, simply because those towns are inhabited by Shia. To stoke sectarian passion, Aljazeera used graphic images that did not depict people from Madaya.